As I stride confidently across the four-inch beam, I know what is expected of me: I am to risk my life by throwing my arms and head behind my legs, somehow catching the beam with my palms, then landing on my feet, and doing it again. My mind begs me to stop, to get down, to give up. I take a deep breath and count to three, then put my life in the hands of my training. I cycled through this fear, doubt, and courage for three hours almost daily throughout my childhood as a competitive gymnast. I grew up in the gym, rotating between vault, bars, beam, and floor. Gymnastics made me who I am today, and I continue to carry many of the life lessons it imparted on me. Most importantly, it taught me that failure is the only true way to learn, that dedication is necessary for success, and that I can and will perform well under pressure. Gymnastics is about failing continually with the goal of mastering the skills which you once could not do. I learned at a very young age how to calculate why I fail. “Curing” failure happens by being comfortable with failing again. I faced failure every time I entered the gym, as each practice was filled with falls, wobbles, and imperfect routines. I learned to analyze the reasons for failure, so that I could outperform the previous attempt. I now understand that failing is part of any successful process and, from it, I have learned humility. The face plants figuratively and literally plaster my perspective to the floor, demonstrating that I must start from the ground up if I wish to see changes in my performance. I have further developed this understanding throughout my undergraduate experience, learning immensely from those classes which have challenged me the most. I know that failure in law school will come frequently and uncomfortably. I have been prepared to face this failure, and to use it as a learning opportunity rather than let it frustrate me. Along with failure, dedication is also required to reach success. 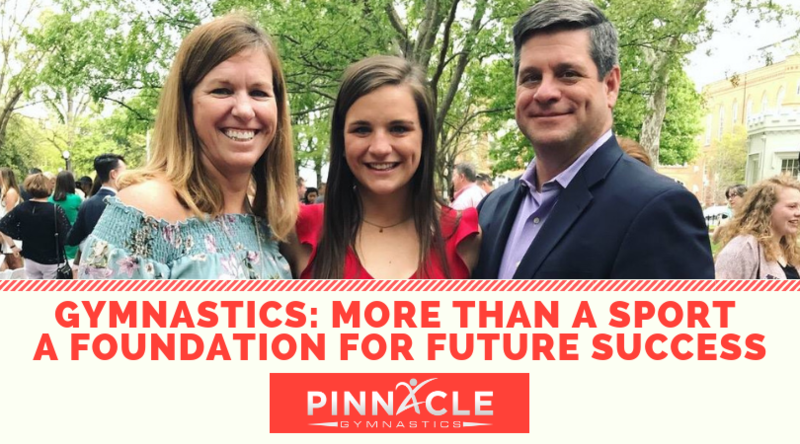 As a young, competitive gymnast, I sacrificed normal childhood memories to rip calluses on my hands, sweat through the constant chalk coating, and flip blindly across a four-inch beam. This dedication continues to resonate in my current daily life. 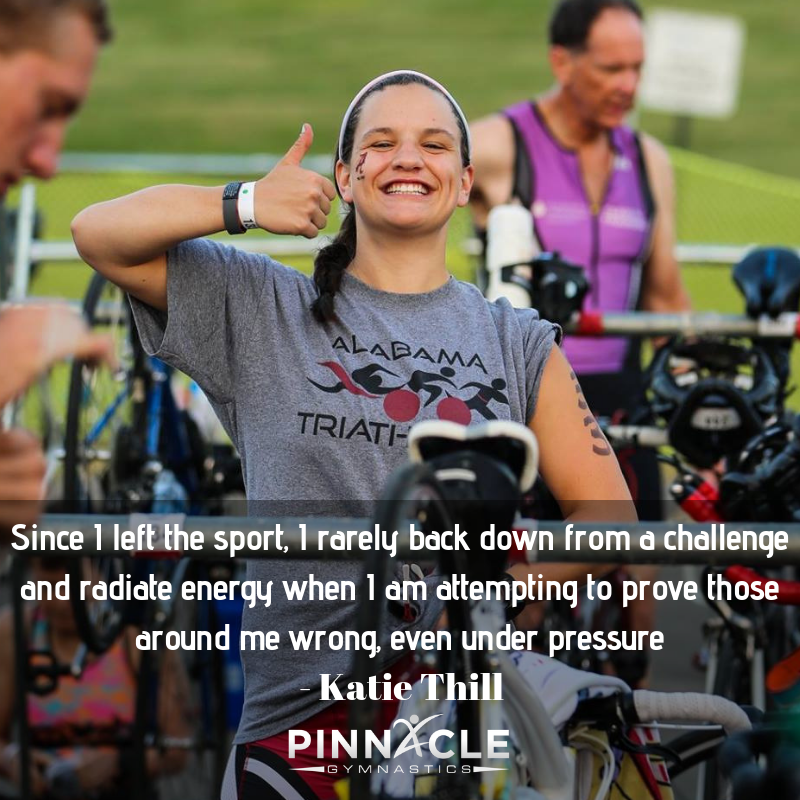 Many times, I sacrifice treasured personal moments to demonstrate selfless leadership, train diligently for triathlons on the University of Alabama club sport triathlon team, or master complicated class material. I have learned to find a balance in this sacrifice, setting aside time for personal development while still maintaining my professional growth. As a law school student, this balance will continue to shape my success. Law school will require me to engross myself in my classes and internships. Not only am I prepared and trained to do so, I also eagerly look forward to immersing myself into the study of law. Similar to the law, gymnastics is a sport of judges. At competitions, I was evaluated by three judges on each event, yet they never stimulated my nerves quite like the fourth and fifth judges: my coach and myself. In every moment during my gymnastics career, I was under the pressure of both my and my coach’s expectations. I learned to live with this pressure and use it to my advantage. This proficiency displays itself in my public speaking skills, test-taking abilities, and race-day athletic performance. Focusing on academic pressure, I purposely pursued an accounting major because the unfamiliarity of the subject excited me. Majoring in accounting is known to be difficult, and I have used this pressure to motivate myself through the hours of focused studying and failed practice problem attempts. I knew that understanding and becoming fluent in the language of business would be vital given my interest in pursuing corporate law or white collar crime law. What began as a sport to release my excessive childhood energy has ended up becoming the mold that will shape me into the lawyer I hope to become. Since I left the sport, I rarely back down from a challenge and radiate energy when I am attempting to prove those around me wrong, even under pressure. I have been doubted, but gymnastics has taught me to only fightharder when this is so. One gymnastics legend, Nadia Comaneci, once said, “I don’t run away from a challenge because I am afraid. Instead, I run towards it because the only way to escape fear is to trample it beneath your foot.” Applying for law school is as intimidating and exhilarating as running towards the vault apparatus, but I only know of one way to do so--fast and fearlessly. I will succeed in law school because of the dedication to success, development of failure, and ability to perform under pressure that were embedded within my personality as a young gymnast. I will succeed because gymnastics taught me to never quit.